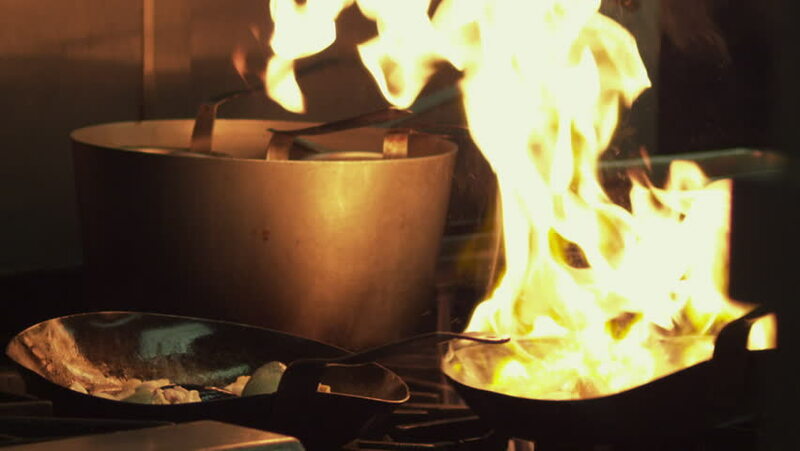 Salt Lake City, Utah - CIRCA - 2009 - Restaurant saute pans catching fire as alcohol burns off. hd00:09Potatoes are fried in a frying pan. Fried potatoes. hd00:33Loop features a flickering white pillar candle with Christmas bells backed by white Christmas lights in the soft-focused background.